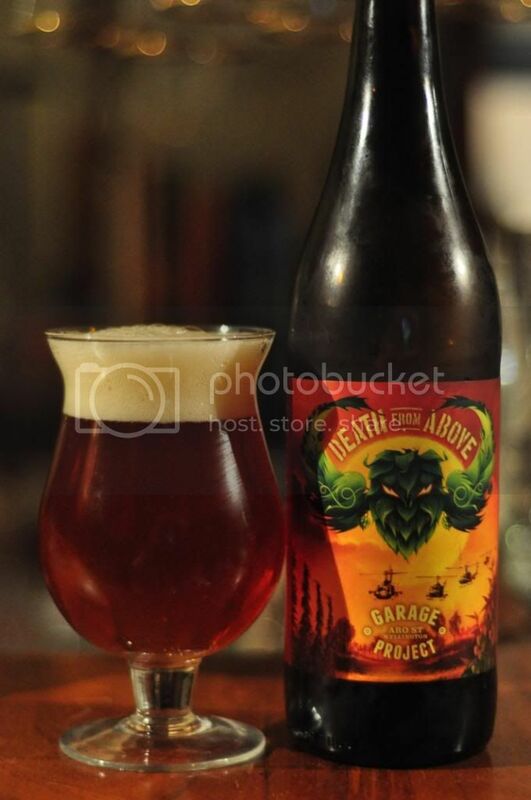 Here is a new beer from New Zealand brewers Garage Project. They are a relative newcomer on the Australian craft scene but I've had nothing but quality from them. The other thing they bring is fantastic distinctive labels, including this one! I've had a few beers this week that I would have loved to review were it not for a minor electrical issue in the bar, which limited my ability to take nice photo's. They may appear in a wrap up at some point. Back to the Death from Above, it's a self termed Indochine Pale Ale. They've tried to combine chili, mango and lime juice with American hops. I've had this one before at GABS; I loved it then and I hope I'll love it again now. The pour is uncharacteristically red for an IPA. It's got a cream coloured head with no large bubbles that sits atop this liquid that is about 3 fingers in height. The retention of the head is quite good but could be better, however this is probably also less important for an IPA. It's a good looking beer, but it gets overshadowed by the label, which is just sensational! Death from Above smells amazing! It's got everything they promised it would have and then some! There are the citrus hops, particularly grapefruit, that you would expect for an IPA and then there is also a strong aroma of chili spiciness. As the beer warms there some fruitiness, not distinctly mango but I'll take their word for it. The Vietnamese Mint is also quite prominent and manages to hold it's own against the hop aroma. It's a beer you should buy just to smell! For a beer with a reasonable amount of (mostly chili) spiciness, Death from Above is a very refreshing beer. I think the Vietnamese Mint provides a cooling effect, as it does in Pho, and combined with a nice light mouthfeel and plenty of tropical fruit flavours it's incredibly quenching. As an interesting aside, for those who say there's little to no chili in this beer leave 20ml out to warm to room temperature, you'll find out that there's plenty! This was one of the 80-something beers specially brewed for this years GABS; and Death from Above may have just become my favourite beer from this years edition! As far as novelty (probably not what I mean but you get the idea) beers go this is the best one I've had. 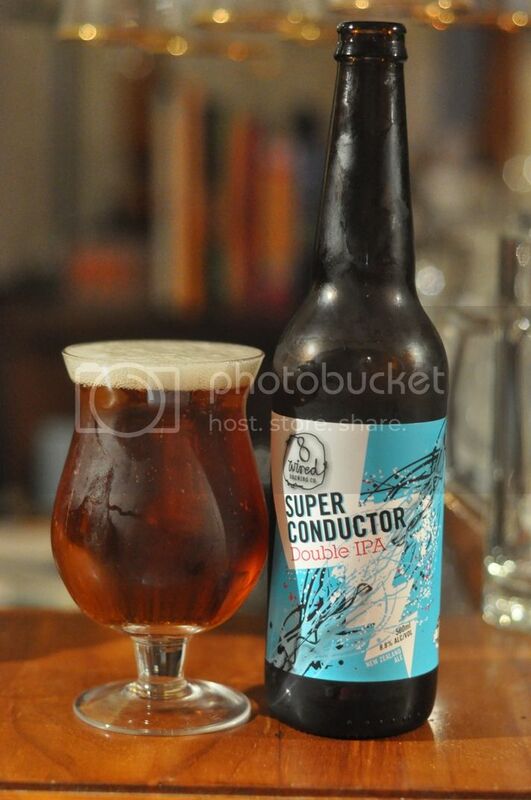 It's experimentation like this that makes craft beer fantastic! If you love IPA's you simply have to try this one, trust me!